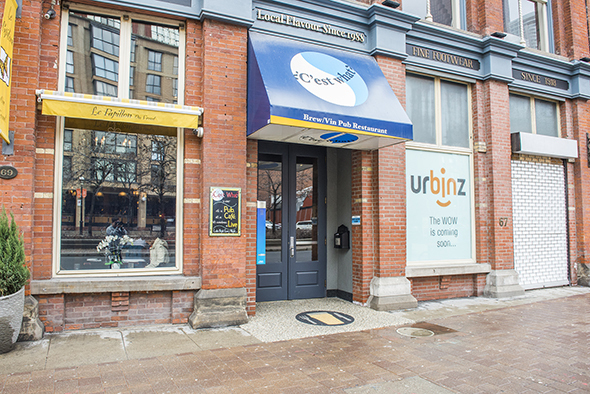 C'est What is a brewpub that's been a fixture in the St. Lawrence Market area for three decades. 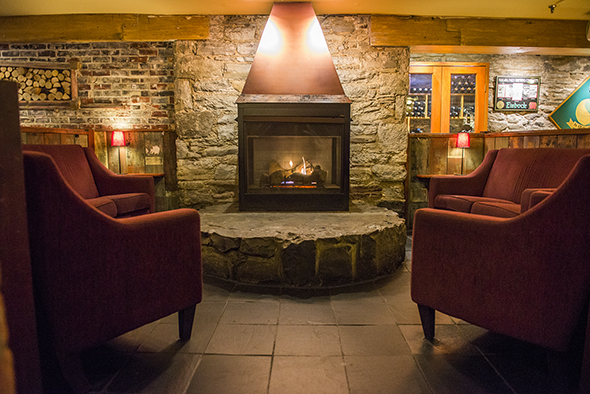 Found in the cellar of a historic building, the pub is split into two equally cozy and dimly lit taprooms that are filled with fireplaces, billiards tables and plenty of seating. In addition to the well-stocked bar, there's live music on select evenings, and a scratch-made menu. 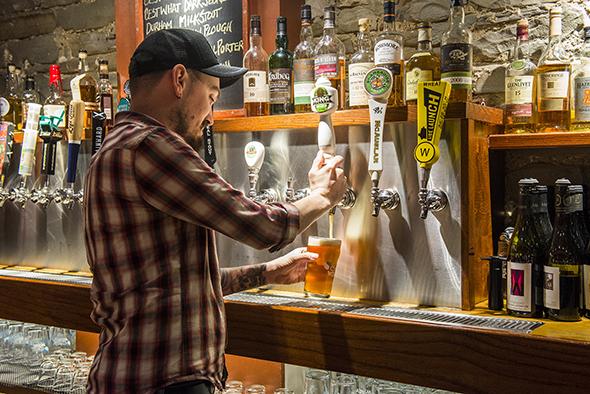 Of course it's the extensive selection of all-Canadian beer, including 42 taps (eight casks among them) and an expansive menu of bottles, that have solidified the spot as a true beer lover's bar. C'est What even produces seven of its own beers contracted out to local breweries such as County Durham and Granite Brewery. Signature recipes include the Homegrown Hemp Ale, Mother Pucker's Ginger Wheat, and Steve's Dreaded Chocolate Orange, to name just a few. In the kitchen, chefs Randy Wink and Carlos Briseno Fera put out an eclectic lineup of comfort fare. Inspiration spans the globe ranging from goat roti and falafel to Moroccan stew and butter chicken. 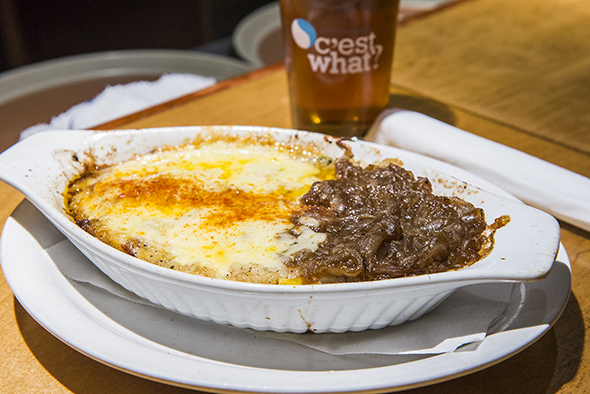 When it comes to classic pub grub, the Shepherd's pie ($16) represents well. The hearty casserole comprising minced lamb and vegetables is baked with the house coffee porter and topped with creamy, garlicky potato mash, Welsh cheddar, and deeply caramelized onions. 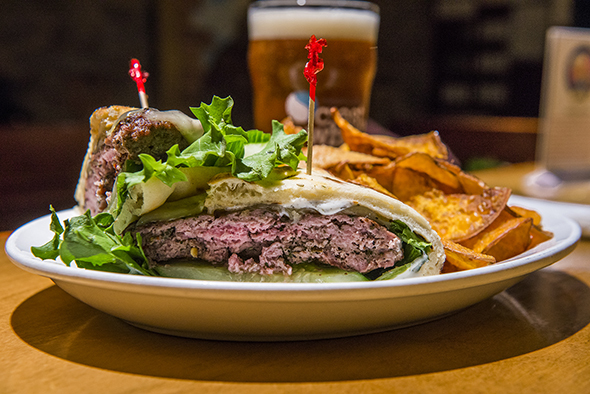 The lamb burger ($15) is another top seller featuring ground Ontario spring lamb. The patty boasts a nice exterior sear while the centre is deliciously rosy. It's sandwiched in teardrop naan with Emmental cheese, tzatziki, lettuce and cucumber, and served with a generous pile of sweet potato chips that prove a welcome alternative to fries. 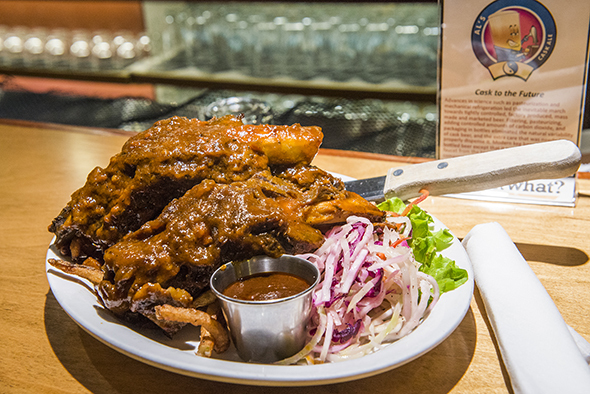 An order of braised beef ribs ($18) is impressively huge. The meaty hunks of meat are painted in a coffee porter BBQ sauce and accompanied by garlic mashed potatoes (or fries by request) and slaw. When I ask what's changed in the years since opening, I'm told not much; they take debit now, but really that's it. 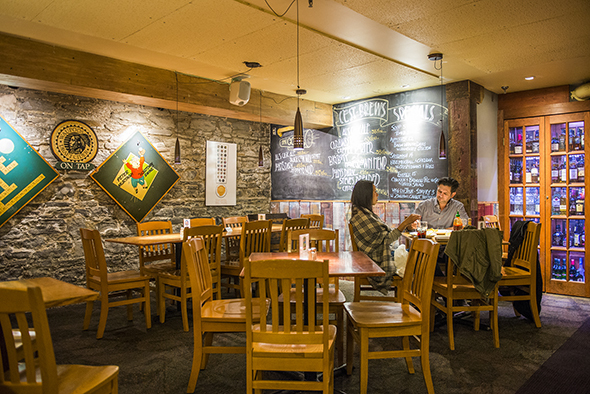 Craft beer and scratch-made fare are the unwavering focus.